ProVentilator Roof Vents – Canplas Industries Ltd. 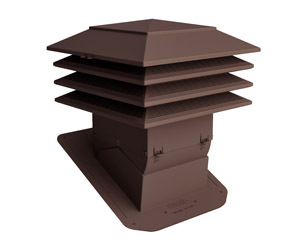 Designed with our unique WeatherPRO® Technology, the PROVentilator offers a trouble-free, high performance attic ventilation system that protects the home from weather infiltration, moisture and heat damage. 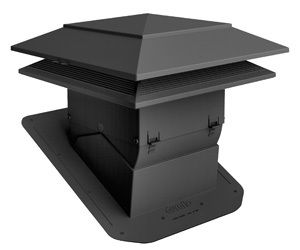 The patented PROVentilator features an architecturally designed large top cap improving the appearance of the roofline. Engineered with the contractor in mind, the lightweight, durable construction and pivoting pitch adjustment system are designed to simplify the installation process saving both time and money. Installed on a sloped, shingled roof to ventilate hot, moist attic air as a part of a balanced ventilation system. Installed within 24 inches of the roof's peak. 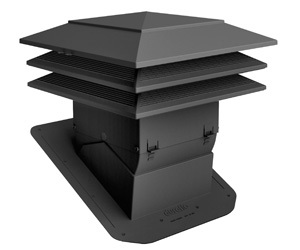 The PROVentilator combines the field tested benefits of the patented WeatherPRO internal baffle system with multi stage, high volume, airflow for superior attic ventilation.